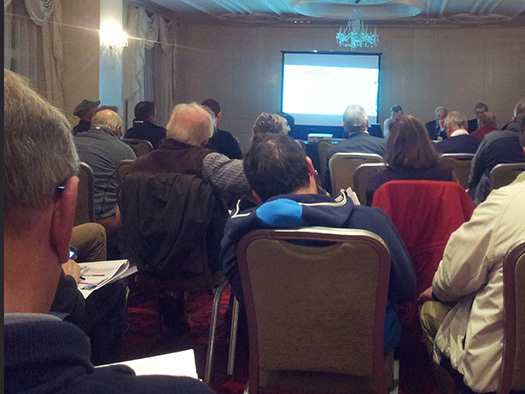 #irishsailing – The Irish Sailing Association SRG (Strategic Review Committee) penultimate meeting of the series took place last evening at the Rochestown Park Hotel, Cork and drew an excellent attendance with a large number of representatives from southern clubs and sailing establishments in attendance and sailing instructors were also well represented. Claire Bateman reports. The meeting was chaired by former RCYC Admiral David O'Brien, Dublin SRG representatives who travelled were Brian Craig and former ISA Presidents Neil Murphy and Roger Bannon, and Harry Hermon of the ISA. A full copy of the ISA Strategic plan until 2020 can be found here. The meeting commenced at 7pm with an introduction by David O'Brien followed by Neil Murphy who took the meeting through the Strategic Plan line by line. The attendance had been requested to hold questions until the presentation was complete and this request was duly complied with. The Q & A session began at approximately 8.50pm with the meeting scheduled to finish at 9pm. People had a lot of points to make and the meeting finally concluded at approximately 9.45pm. It could have been a meeting from some twenty years ago and this was no bad thing. Some very old chestnuts were still being aired along with some new topics and indeed some views being expressed from the top table were still unchanged from former years. As one would expect from the wonderful cruising areas in the south west, cruising got a good airing from several quarters with changes being requested in recognition of the importance of this branch of sailing. Also, the importance of motor boating was raised with the rise in numbers of such craft now being seen and, indeed as pointed out by Vice Admiral John Roche of RCYC, there are now some thirty to forty such boats on the RCYC marina and other speakers pointed out this is reflected in clubs all around the country. A thorny area drew huge response from the meeting and this was the situation regarding RYA courses. 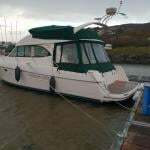 Currently RYA instructors are giving courses in this country and these instructors will in be working here and it was pointed out these courses are fully recognised outside Ireland while the ISA Instructor courses have no such recognition. The question of frequent compulsory revalidation also proved to be a hot topic and one that the Instructors have requested to be looked at. The lack of availability of qualified instructors also came up for discussion. The ISA Pathway also came up for discussion and is another area to be looked at. The ISA's view on the question of promoting two person boats over single handed dinghies, desirable and all as the idea may be to some people, came into sharp focus in a week where a sell out mid term sail training week for Optimists in Baltimore SC is being attended by 150 Optimist sailors and their families from all corners of Ireland. Indeed, your scribe, residing near the main route to West Cork, could describe the numbers of vehicles travelling west complete with packed roof boxes and trailers piled high with all the gear while the car interiors showed parents, youngsters and in a lot of cases family mutts, all heading to a week of hard training for the enthusiasts and a fun week for the younger family members and hopefully for the parents and indeed for the village of Baltimore. By all accounts this is exactly what is taking place. There was a view put forward from the top table that an Optimist sailor coming out of the ranks when it was time to move on would have no knowledge of sailing coming out of a "little box of a boat". Here I have to disagree strongly. Now, I am no great Optimist fan but I have watched these sailors and their knowledge of sailing can be quite fantastic and their experience of different sails in knowing what is needed for different weights and conditions is absolutely tremendous. They go to sea in conditions that leave the rest of the fleets high and dry and enjoy themselves experiencing conditions the experienced hardy annuals would baulk at. Pay a visit to the Royal Cork Yacht Club during any school holidays and you will find the Oppie Skippers sailing anything and everything they can get their hands on. They will go out in Topaz, 420's, Fevas, International 14's, Toppers, you name it and they will be found. 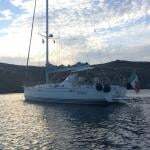 They also join the club racing/cruising fleets as crew and can be found doing on board crew tasks on the these boats and will also helm. Where did Sir Ben Ainslie commence his sailing career? In an Optimist of course. Last word on this, on one occasion when the ISA were really pushing two person boats, one in particular, the parents responded by deciding to buy Laser 2's in large numbers against the recommendation of the ISA. A world championship for these boats was held in Crosshaven with large numbers in attendance. Where are they now? The appreciation for the hard work of the SRG Committee was expressed by all and the members thanked for coming to Cork. The last meeting of the series will be held in Galway and the final item on the SRG agenda for the moment will be to try to ensure the adoption of the SRG Plan. If sailors have strong views to express they should make the effort to be present at the Maldron Hotel, Portlaoise at 11.30am on March 28th. If you are not there you cannot complain afterwards if an item was passed you did not agree with without at least having the chance to express your opinion. A good humoured meeting at the Rochestown Park Hotel in Cork and devoid of any real controversy.